Because of the great demand on the “Ecce Homo”, the school in the Old City, this was full, and because lack of space made it impossible to welcome more students, Ratisbonne’s founder, Fr. Marie-Alphonse Ratisbonne, sought a suitable place for constructing a large school. Thus he bought the land from an Orthodox Christian, and in 1874 he began with the construction of Ratisbonne, which he moved along at a good pace. Fr. Marie-Alphonse asked a Paris architect to draw the plans for the future establishment, and he wanted it to be large and beautiful: large because he thought of the many children who were waiting to be accepted; and “beautiful because,” as his architect told him, “what is ugly is just as expensive as what is beautiful. Since the school of St. Peter is supposed to become a breeding ground for workers and artists, it is right to let them always see a building which will be for them a permanent example of good taste.” Run by the (male) Religious of Our Lady of Sion, Ratisbonne began as a primary school for boys. This school also taught languages: French, English, Arabic, and Hebrew; in addition it offered professional training up to 18 different trades. The house was meant to serve the local population; the spirit animating it was openness to all: Jews, Christian and Muslim Arabs, and all the children who could study there until 1948. After the creation of the State of Israel, the Ratisbonne house became progressively a center of studies for Christians interested in Jewish studies. 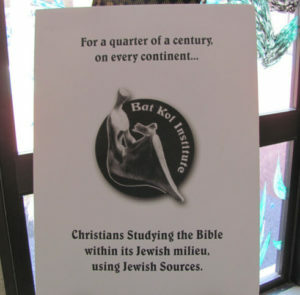 In 1970, following the Catholic Church’s teaching on the importance of Jewish studies for Christians, Ratisbonne began to teach in a more specialized way and it became international and ecumenical. In order to ensure the permanence and development of the Christian Center of Jewish Studies at Ratisbonne, the Congregation of the (male) Religious of Our Lady of Sion gave its Ratisbonne property to the Holy See in 1984 with a juridically correct contract and on the clear condition that the Holy See be committed to enabling the center to live and to prosper. The Institut Catholique in Paris was given academic responsibility for the Institute. The Religious of Sion were still involved with the working of the center, but without direct responsibility. 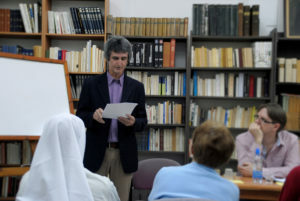 In 1998, the study center became a Pontifical Institute, but three years later, in 2001, the Congregation for Catholic Education decreed unilaterally that the Pontifical Center of Jewish Studies at Ratisbonne would be closed. However, according to the 1984 agreement with the Holy See, the Religious of Sion kept part of the Ratisbonne building for themselves to live there and in order to carry out their community activities. So in their rooms at Saint Peter of Sion – Ratisbonne, the Congregation of the (Male) Religious of Our Lady of Sion has re-organized its library, which is specialized in Jewish studies, and has included a space for teaching there. 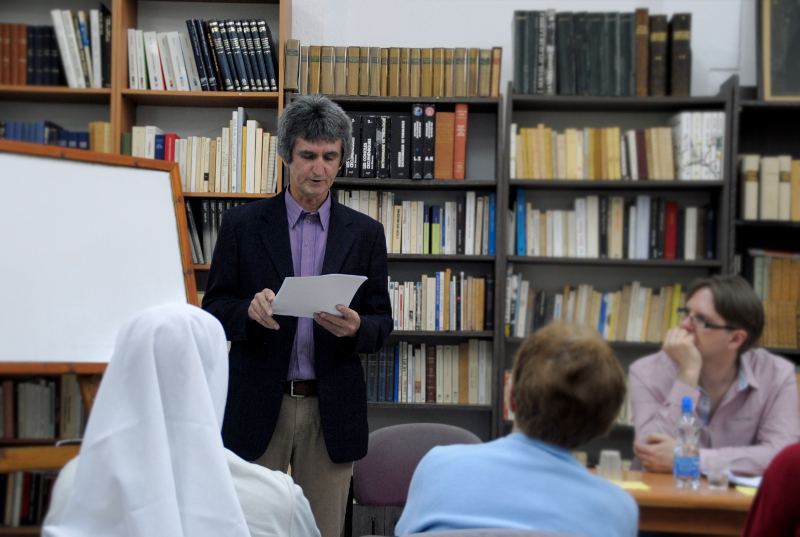 In relation to the Council of Fraternity of Christians and Jews (CFCJ) we offer them space for their monthly meetings plus their library in our school in São Paulo, Brazil. Our classrooms and other rooms become conference spaces whenever needed. As we are very close to CFCJ main ideas on Interreligious Dialogue, we send yearly one of our Sion Sisters to the Conference organized by the International Council of Christians and Jews. These gatherings happen usually in some European country, with very interesting results. As much as possible, our Congregation helps CFCJ with their financial expenses. We are invited and participate at the 2 main activities organized by the volunteers of CFCJ group, mainly at the Passover Events and the Christmas/Hanuca celebrations (Míriam Markus – Presidente). Participating in the Christian-Jewish Fraternity is important for us as sisters of Sion because we have a face-to-face dialogue with the Jews. We share and reflect on the problems of society and the dramas of humanity. We can know more each other, respect us mutually, work together to build justice, love and peace. We have an opportunity to grow in a good understanding about the Jew history, the holocaust and the antisemitism impact in their lives and communities. We, as members prepare and celebrate the religious feasts common to Jews and Christians like Pesach and Chanukah. There is a growing number of Jews interested in attending the events promoted by the Congregation in Sao Paulo. (Sr. Cristiane, NDSion).